WASHINGTON – The United States has been using Shamsi airbase in Pakistanâ’s Balochistan province to station unmanned Predator drones that have been used to attack terrorist targets inside the country’s tribal areas, an unnamed senior US official told an American television network on Thursday. The confirmation contradicts a stream of previous denials from officials and comes after the Times of London published a Google Earth image apparently showing three US drones at the airbase as early as 2006. The senior US official told Fox News that the US was in fact launching Predator UAV strikes from at least one base in Pakistan, confirming a statement made by US Senate intelligence committee Chairwoman Dianne Feinstein last week. The California Democrat riled intelligence circles when she seemed to reveal sensitive information about such a Pakistan-based staging ground during a hearing. The official said that slip led to the initial denials from other officials that the US was using Pakistani bases. 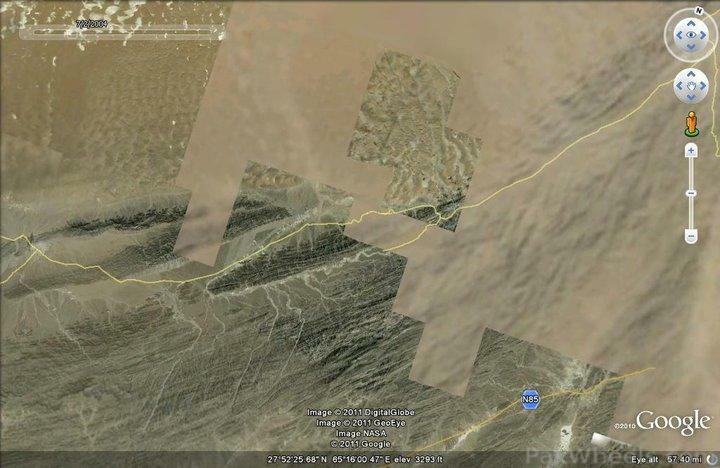 The Times also obtained a copy of the Google Earth image, whose coordinates confirm that it is the Shamsi airfield, also known as Bandari, about 200 miles southwest of Quetta, the report said. 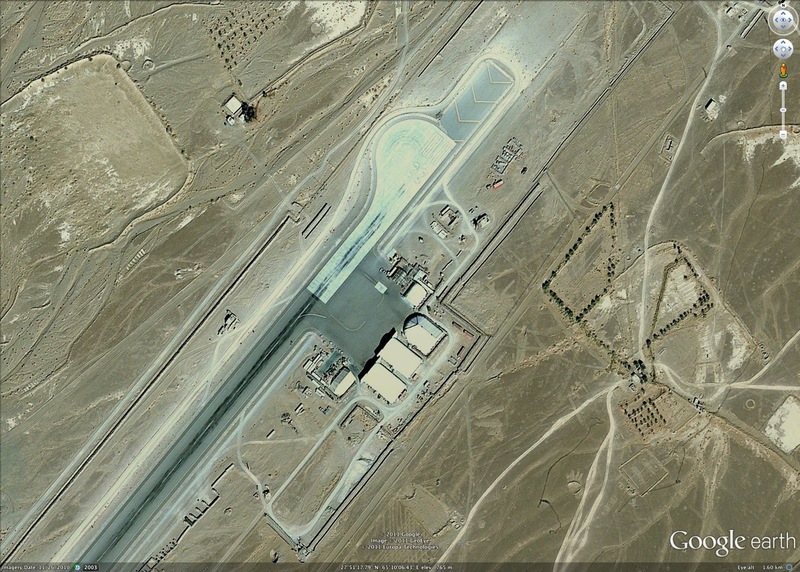 US special forces used the airbase during the invasion of Afghanistan in 2001, but the Pakistani government said in 2006 that the Americans had left and both sides have since denied repeatedly that Washington was using Pakistani bases. Monitoring Desk adds: The US and other NATO member countries have had a quiet, unwritten agreement for the past three to five years to allow the CIA to fly unmanned drones out of remote airstrips in the Pakistan-Afghanistan border region, a senior military official from a NATO country confirmed to CBS News on Thursday. In the past week, speculation has mounted over the extent to which Pakistan was aware of such flights, amid evidence that at least some of the drones were being launched from airstrips in remote Pakistani regions. The issue is potentially explosive for Pakistan – a country that has been an ally to the US in Washington’s fight against extremism, but has routinely protested the drone strikes on suspected Taliban and Al-Qaeda militants in Pakistan’s border region, which have also caused numerous civilian casualties. 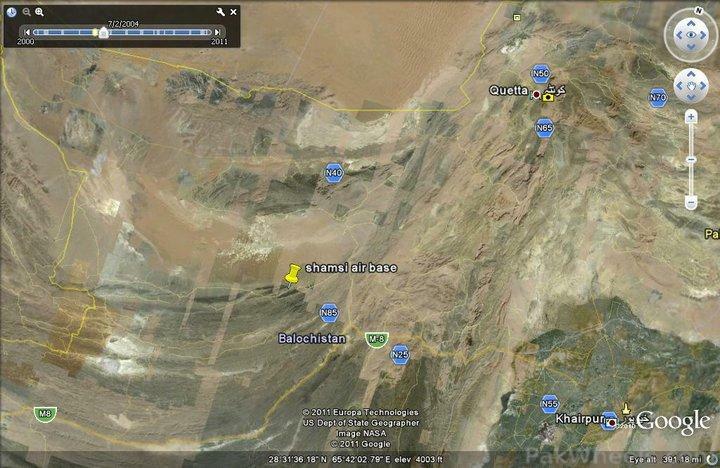 On Tuesday, The Times newspaper of London reported that the drone flights were originating from an airstrip known as Shamsi in Balochistan. On Thursday, the Islamabad-based NATO military official, who spoke to CBS News on condition of anonymity, said the US, Pakistan and NATO had all collaborated in the use of remote locations in Pakistan and Afghanistan to operate the drones. A NATO country diplomat stationed in Islamabad, who also spoke to CBS News on condition of anonymity, confirmed the information given by the military official. “There is no one location. The locations keep on changing in both countries (Pakistan and Afghanistan). But yes, there are drones flying from locations in both these countries,” said the diplomat. However, a Pakistani government minister told CBS News on Thursday there was no question of ending Islamabad’s support for Washington, especially given Pakistan’s weak economy which, has made it rely on the US for badly needed financial aid. “The US holds a vital lifeline for Pakistan. How can we move to cut that off ourselves,” asked the minister, who also asked not to be named due to the sensitive nature of the matter. 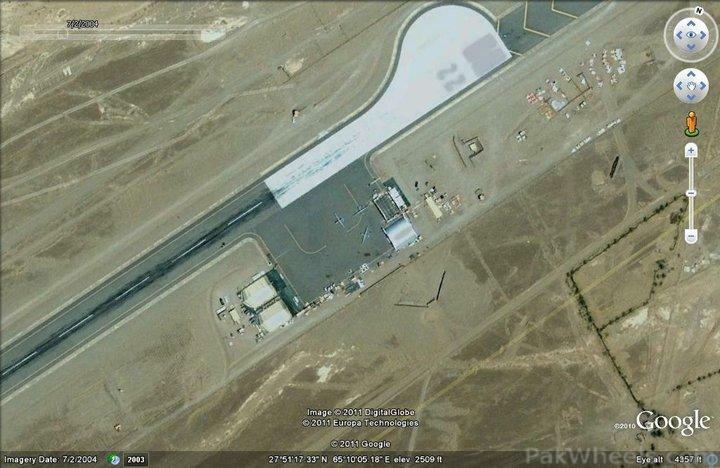 Islamabad, Dec. 13 : Pakistan, for the first time, has admitted that the Shamsi airbase in Balochistan is being used by the US forces for logistical purposes. Defence Minister Ahmed Mukhtar said the US is using the Shamsi airbase, but the government is not satisfied with payments for its use, The Dawn reports. It may be noted that the US forces were also operating from the Jacobabad and Pasni airbases for carrying out operations in Afghanistan. Mukhtar’s statements comes a day after he admitted the presence of ‘Quetta Shura’ in Pakistan, a fact which was being vehemently denied by Islamabad so far. Pakistan’s army chief has condemned the latest raid by US unmanned drones as “intolerable and unjustified”. In a strongly worded statement, Gen Ashfaq Pervez Kayani said the attack, which killed about 40 people, was “in complete violation of human rights”. Most of the victims were believed to be civilians attending a tribal meeting near North Waziristan’s regional capital, Miranshah. WASHINGTON — Even as it publicly demands an end to U.S. drone attacks on militants in its tribal area, Pakistan is allowing the CIA to launch the missile-firing robot aircraft from an airbase in its province of Baluchistan, U.S. officials said Friday. Up to 25 people reportedly died Friday in the latest drone strike, which took place in North Waziristan, a remote tribal agency from which extremists launch cross-border attacks on U.S.-led forces in neighboring Afghanistan. Pakistan’s contradictory positions on the strikes illustrate how the Pakistani army is trying to use public outrage in Pakistan over what are denounced as violations of national sovereignty to squeeze the U.S. into giving it a greater say in the selection of targets. The Obama administration, however, is insisting that the Pakistani military accede to a longstanding U.S. demand to move against militant groups that control North Waziristan, which is Osama bin Laden’s suspected refuge, and that they use as a base for attacking Afghanistan. That message was reiterated by Adm. Mike Mullen, the chairman of the Joint Chiefs of Staff, in talks he held with Gen. Ashfaq Kayani, the head of the Pakistani army, in Islamabad on Thursday, said a knowledgeable person who asked not to be further identified because of the sensitivity of the issue. Mullen told Kayani that there would be no let-up in drone operations until there are “decisive, verifiable Pak military operations against Haqqani and related groups responsible for actions leading to the deaths of American and coalition troops in Afghanistan,” the knowledgeable person said. The revelation by Barries raises a lot of questions for the Pakistani military–which has apparently been complicit in the bombing. The Wikileaks provided ample evidence that the highest echelons of the government was involved in the drones bombings. Shafqat Mahmoud writing for the news says “The drone attacks have been going on for a long time. There is sufficient evidence that successive Pakistani governments have acquiesced, if not facilitated them. Claims are even made that Pakistani airbases are used for them, obviously with the approval of our defence establishment. Why have these attacks now become such a big issue?”. Those who allow the drones attacks to continue are guilty of treason and should be tried as traitors to the country. The murder of every civilian that has died in drone attacks can be attributed to the compliant acquiescence of the head of the Army, the ISI and those that live in the president house. General Kayani, you have blood on your hands–the blood of Pakistanis. Stop the drones! ISLAMABAD: Pakistan Air Chief Rao Qamar Suleman has disclosed that Pakistan’s Shamsi Air Base is under the control of United Arab Emirates, not in the control of Pakistan Air Force, sources said. When Rao Qamar revealed that Shamsi Air Base is under control of UAE, Senator Ishaq Dar of Pakistan Muslim Leageu-Nawaz questioned that who allowed UAE to run Shamsi Air Base. On a question, The Air Chief said Pakistan Air Force has capacity to shot down drone missiles but we need authority from government. Director General Inter-Services Intelligence (ISI) Lieutenant General Ahmed Shuja Pasha confessed that the US operation was our intelligence failure. But he said 9/11, 7/7 and 26/11 were also intelligence failures of CIA (USA), MI6 (UK) and RAW (India), and they (nations) supported their intelligence agencies in critical stages. However, Pakistan’s ISI is being severely criticized over the failure of May 02. Pakistani Defense Minister has said that Pakistan Army will soon take the control of the Air Base which often quoted as the launching base for the Americans drones. Defense Minister Chaudhry Ahmad Mukhtar said that Pakistan has given the Shamsi Air Base to United Arab Emirates under a lease agreement in 1992. He said that UAE has handed over operational control of the air base to the United States. 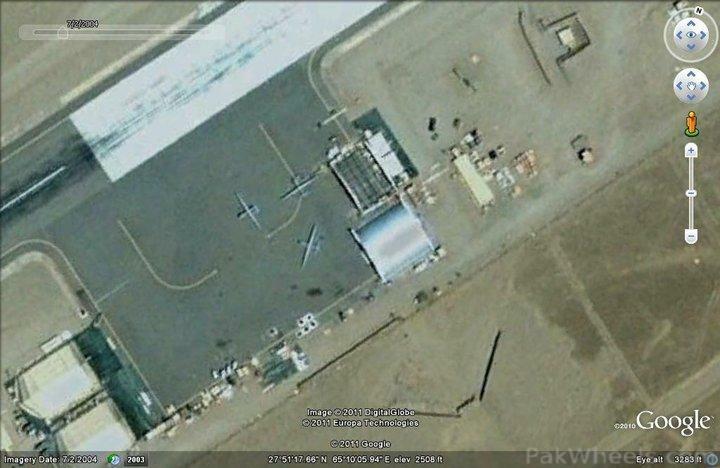 US is using this airbase for launching UAV missile strikes against region in FATA. Prime Minister Yousaf Raza Gilani asserted on Sunday that the US was never given access to Shamsi airbase for carrying out drone attacks, insisting that Washington was given access to the base only for surveillance purposes by the previous government. Addressing a press conference which he had “specifically called to clarify some issues of national importance”, Prime Minister Gilani said that his government has raised the matter of Washington’s control over the base at the highest level with the US government. Mr Mukhtar is not famous for accurate communication of the government view. 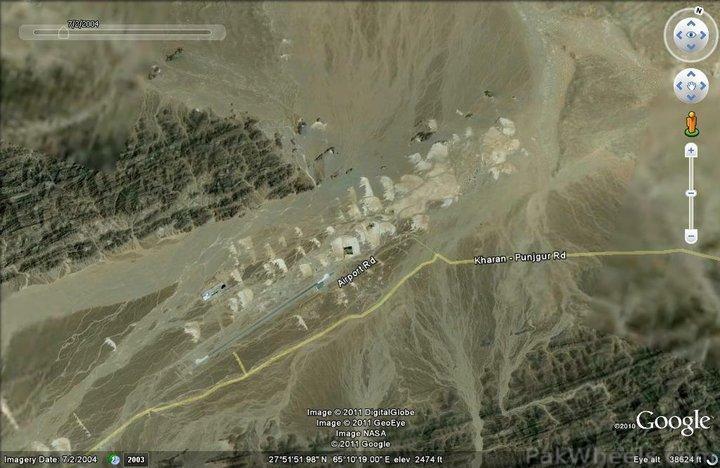 What can one say about the so-called Pakistani ‘communication’ to the US that it should leave the Shamsi airbase in Balochistan, except that there is confusion and much contradiction among the administrative domains in Pakistan? 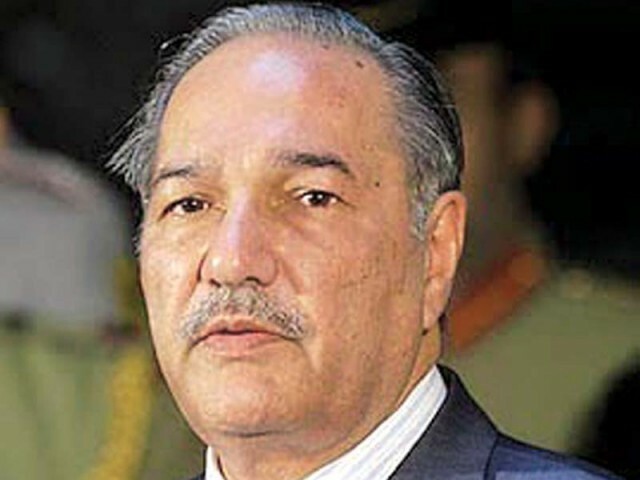 First, Defence Minister Ahmad Mukhtar told a group of journalists in Islamabad that Pakistan had asked the US to remove its troops from the base. This is what he said exactly: “When US forces will not operate from there, no drone attacks will be carried out. Islamabad has been pressuring the US to vacate the base even before the May 2 raid in which US Navy SEALs killed Osama bin Laden”. “After the raid”, he said, “we told them again”. What he said afterwards created semantic if not factual confusion: “Pakistan has already stopped US drone operations there from the base”. If the drones don’t fly from the base, why ask the Americans to leave, unless something more than the drones was involved? Mukhtar proceeded to make it clearer: “It is time to review our anti-terror cooperation with the US”. The message was that Pakistan had reached a point of decisive action against US presence in Pakistan, earlier presaged by the removal of American trainers. The defence minister’s conversation communicated the intent of the Pakistan Army to curtail the country’s policy of cooperation with the US as per the angry joint resolution of parliament. Then came the first damp squib. When asked whether US troops were vacating the Shamsi base, an official Washington spokesman said there was no such plan in the offing and that the US government had received no such request from Pakistan. This was flashed around the world as ‘American refusal to vacate the base’. When the mystery deepened over what exactly had happened, the Federal Minister for Information and Broadcasting Dr Firdous Ashiq Awan said the news about Pakistan asking the Americans to leave was a concoction of the media. She said she was a member of the defence committee and nothing of this sort was discussed during its meeting. Mr Mukhtar is not famous for accurate communication of the government view. His last gaffe was after a high-powered government delegation returned from China. He announced that China had agreed to take over and run the Gwadar port, only to have the Chinese deny making any such commitment. It should be remembered that Mr Mukhtar is on record defending drone attacks at a time when they were becoming unpopular in Pakistan. His conversion to the anti-drone league now seems to have taken him a few paces ahead of the Pakistan Army which, according to Dr Awan, has not discussed Shamsi base. Who is Mr Mukhtar listening to? As defence minister, he surely has more access to the way the army thinks than any other member of the cabinet. If he says something on a subject pertaining to American military presence in Pakistan, it is taken with more confidence than anything coming from the mouth of any other member of the cabinet. We realise that Awan was given the task of contradicting Mr Mukhtar because the blame had to be placed on the media, not him. But the truth is that it is the defence minister who has been ‘corrected’, and he is an important member of the cabinet, judging from the fact that he has been spared the PPP government’s telltale cabinet reshuffles explaining the pecking order of political power is Islamabad. Shamsi base houses one of several airstrips developed by princes from the Gulf so that their planes could land in areas close to where they come in to hunt local animals such as houbaras. 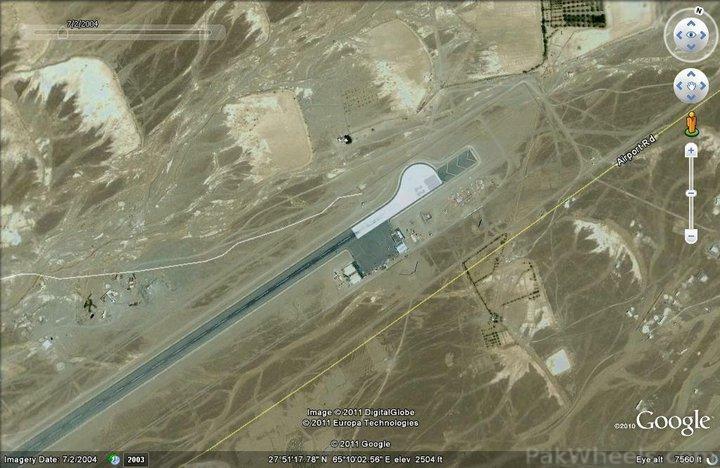 There are such bases in Rahimyar Khan and in Balochistan and it is quite clear that they can be used by our civil aviation authority for local travellers as well as by the army. The flying of drones from Shamsi base is needlessly made mysterious since WikiLeaks disclosures in recent months have made it clear that Pakistani rulers were not particularly perturbed by it till the joint session of the parliament got riled by them earlier this year. What is, however, disturbing is that there are binary views manifested inside our civilian-military establishment. Published in The Express Tribune, July 3rd, 2011. In the last few days one is being treated to the spectacle where the Pakistani Defence Minister ostensibly under directions from the Pakistan Army Chief has been making public statements that Pakistan had asked the United States to halt drone strikes from there and that the United States vacate the Shamsi Air Base. The United States has refused to vacate Shamsi Air Base and therein lay, a double deception inflicted by the Pakistan Army on its own people. Ordinary folks are painfully familiar with Pakistani-style democracy with its timeworn traditions of intellectual and financial dishonesty, hubris, and cash-for-kowtow culture. There is no mystery about the exact nature of our cooperation with the U.S., and yet both Islamabad and Rawalpindi continue to issue transparently false claims and ultimatums to flag their deep concern for the country. They need to can the canards. In May, the Pakistan Air Force chief disclosed that it is the U.A.E. which has control of Shamsi. It was apparently the Arabs who gave the U.S. permission to run drones from there. Defense Minister Ahmed Mukhtar chimed in the following month. “We have told them to leave the Shamsi air base,” he said, referring to the Americans. Unnamed U.S. officials shot back saying nothing of the sort would be possible. Then, speaking in Lahore, the information minister jumped in and disowned her loquacious colleague Mukhtar’s statement. The Washington Postnow says that the U.S. stopped drone flights from Shamsi months ago, but still has a nonmilitary presence there. The report says drones are now operating out of Afghanistan. The civilian administration is not alone in relentlessly subjecting Pakistanis to productions of the politically absurd. The U.S. wanted more drones, as did the Army chief, Gen. Ashfaq Kayani, according to a State Department cable from January 2008. (The Army denies this.) In November 2008, the then PAF chief said that Pakistan could shoot down drones, but needed the government’s consent to do so. Because of all its clever by half buck-passing, the Army comes out almost as badly as the government. Even though the first drone strikes happened on his watch, former president Pervez Musharraf maintains that his military government only allowed the U.S. limited air corridors and only for surveillance flights. Curiously, Gilani supports Musharraf’s version of events. The pathological hoodwinking of the people by Pakistanis in power has also thrown up the reluctant realization that Pakistanis will only get the (self-serving) truth from Washington, not Islamabad. After all, it was an American lawmaker who let slip that drones were stationed inside Pakistan. It was a CIA chief who lauded the campaign as the “only game in town” to target Pakistan-based militants. And it was a U.S. senator who set things straight by stating that the drone strikes would continue, Pakistan’s pantomime notwithstanding. The determination of our politicians and generals to continue lying to us is impressive. In most instances, like with the Abbottabad raid, they seem to be genuinely unaware of matters it is their job to be aware of. In all other matters, they prefer deception over debate. Why bother with an honest day’s work when the U.S. can always be counted on to bail out Pakistan? Our leaders are well aware we don’t like Pakistan being a client state, but behind the scenes they really don’t seem to mind. Reading the above stories should make it pretty clear all the lies of the past and expose the current ones being told — these are the same old ones being recycled. I fully agree with globetrotter77 that General Kayani should Resign for Failure to Prevent/Respond to NATO attack on Pakistan. I would go further and say he should be tried for treason not only for this but for allowing each and every drone strike, his part in the NRO negotiations, his letting Haqqani get away with it for so long, his support for Zardari/Gilani government, his collusion with Musharraf not only in the take-over but the sacking of the judiciary, for Abbotabad and Mehran attacks, for not allowing Davis to be tried and shipping him to US, allowing US troops on our soil, handing over to US our citizens for cash, for continuing to turn army into an army of pimps, for continuing operations in both Balochistan and KP/FATA/PATA, etc. (some of which globetrotter77 mentions). The US and other NATO member countries have had a quiet, unwritten agreement for the past three to five years to allow the CIA to fly unmanned drones out of remote airstrips in the Pakistan-Afghanistan border region, a senior military official from a NATO country confirmed to CBS News on Thursday. Pakistan was aware of such flights, amid evidence that at least some of the drones were being launched from airstrips in remote Pakistani regions. The official said that slip led to the initial denials from other officials that the US was using Pakistani bases. Pakistani peoples are being led to believe by the public posturing of its Army Chief that he is very much against US drone strikes in Pakistan’s frontier regions and that too from Pakistani territory using Pakistani Air Bases. ISPR: "These WERE HARDENED CRIMINAL TERRORISTS!"